GIGI Antioxidant Daily Facial Cleanser 6 oz. 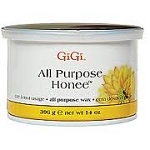 GIGI Antioxidant Double Action Facial Scrub 6 oz. GIGI Antioxidant Balancing Facial Moisturizer 2 oz. GIGI Antioxidant Night Firming Facial Moisturizer 2 oz. GIGI Antioxidant Smoothing Facial Serum 2 oz. GIGI Antioxidant Revive Eye Cream .5 oz. 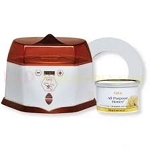 GIGI Deluxe Warmer 32 oz. 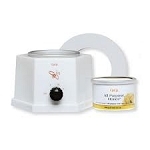 GIGI Honee Warmer 8 oz. 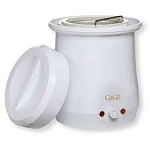 GIGI Honee Warmer 14 oz.